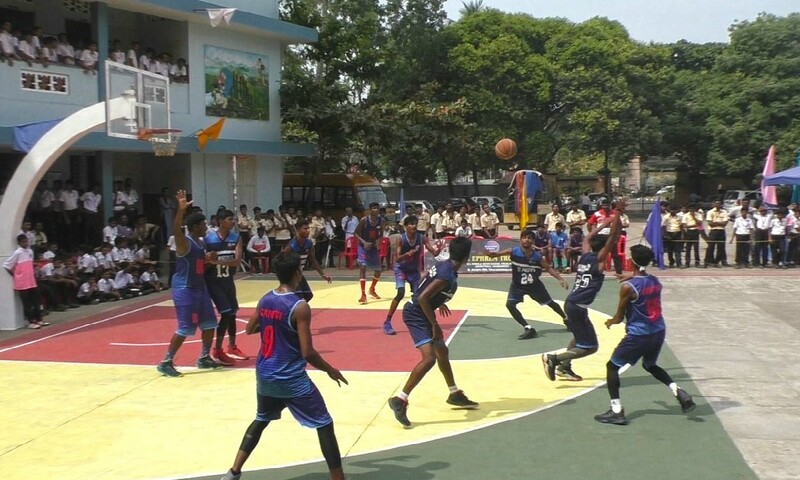 St Joseph's School, Trivandrum, Jan 18th-Home team St Joseph’s HSS, Trivandrum wins the 22nd Fr Ephrem Trophy by beating St Thomas HSS, Kozhanchery by a scoreline of 62-54. In an evenly contested match, the home team prevailed with some consistent scoring over the four quarters. The match looked promising from the first quarter itself as the two teams found baskets with every attack. St Joseph’s just had a 2 point lead at the end of the first quarter; however, the hosts dominated the second quarter and increased the lead significantly at half time. St Thomas HSS, Kozhanchery never gave up and fought back strongly in the third quarter to decrease the deficit within six points. But, St Joseph’s with their bench strength and home support didn’t allow their spirited opponents to take the lead at any point of the match, and eventually won the contest by 8 points. St Joseph’s HSS captain Sainandan led his team from the front by launching the counter attacks and also guarding the defense line with purpose. Sainandan was adjudged the player of the tournament.Mohammed Iswan of St Joseph's was also noted for his relentless scoring while Charley looks to be promising future star with his basket accuracy and use of height during defensive duties. Shibin Shaji and Dani of St Thomas made life difficult for St Joseph’s defense with quick attacks through both flanks and with aggressive run-ins. St Thomas HSS team captain Joshua- a tall and lanky figure, was also noted for his defensive work and ability to score from rebounds. However, the lack of squad depth hurt the hopes of St Thomas, Kozhancherry in the finals compared to a home team which was well prepared with a strong bench and masterly game plan. Kerala Sports Minister EP Jayarajan inaugurated the final match of 22nd Ephrem Trophy in an eventful ceremony here on Friday.